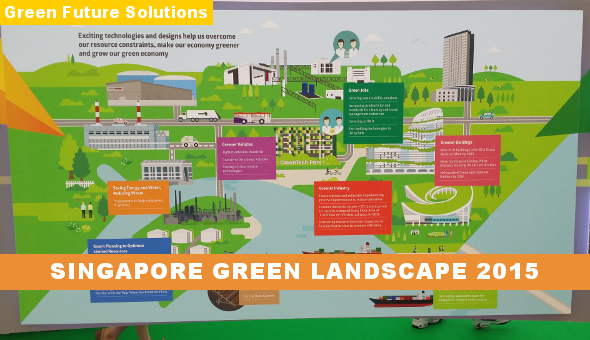 At Green Future Solutions, we do our best to keep track of the sustainability news, communities and industry in Singapore, which are compiled in our annual Singapore Green Landscape. For this 6th edition of the publication, we decided to make it more accessible by publishing it on our website instead of as a pdf file. The Singapore Green Landscape 2015 provides a list of 160 key environmental news in Singapore last year, and highlights the 11 key government reports that are related to sustainability. It also gives an introduction to the 44 non-governmental organisations and non-profits; 49 green groups; 17 business associations and groups; 53 green websites; 26 government agencies; and 47 institutes and centres in Singapore, which are relevant to the environment. We hope that this publication is useful for everyone who wish to know more about the state of the environment in Singapore, find and connect with the environmental organisations in Singapore, or explore personal and business opportunities. Feel free to share this publication with others, thanks. The information listed in this publication is obtained from the web. 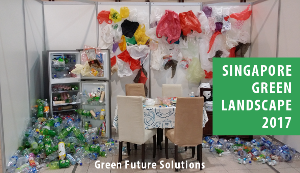 Whilst every effort has been made to ensure the accuracy of the information, no liability will be accepted by Green Future Solutions for errors that may appear in this publication. Published in Feb 2015. Copyright © Green Future Solutions Group Pte Ltd. All Rights Reserved. hi, I cannot find the link to download, only a pic can be downloaded, can you sent me the report 2015 by email? Hi Lauren, there’s no download. You can view the contents via the website, scroll down to see the links to the contents.